Thought I would design something new for the Chinese Year of the Dragon… This is a climbing dragon (wingless, Chinese-style) pen barrel in acrylic that I hand painted and then resin coated. 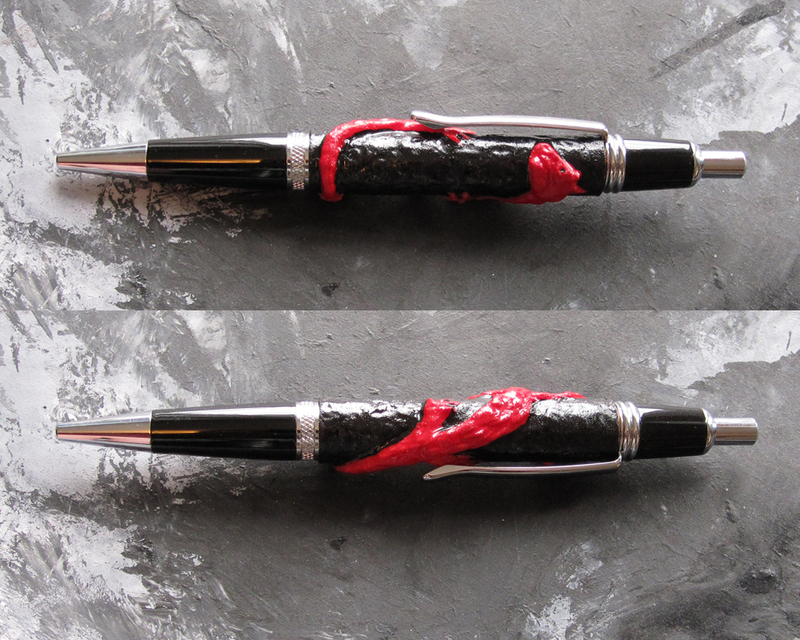 I have it offered for sale in my Etsy store: Dragon Pen Barrel. There are also three other unpainted versions in white, indigo and red. The pen itself is a button-click. 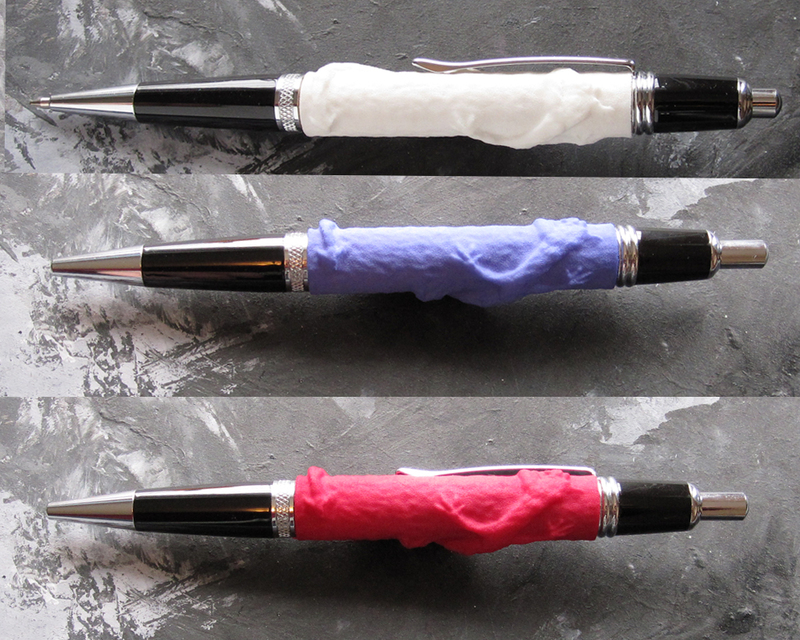 chrome and black and uses a Parker-style refill, as well as the widely available UNI-Ball® refill. This one has black ink. 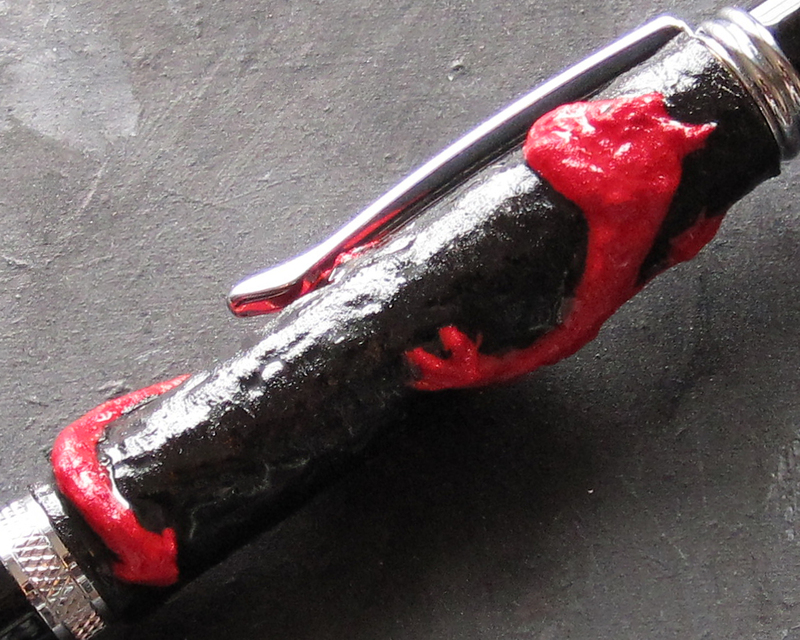 It has real heft to it and does not feel like a cheap ball-point. There are also three other unpainted versions in white, indigo and red? Yes, that’s correct. Also available, but not yet made, are black and grey versions.